After the approval of temporary tariffs for natural gas transportation tariffs for entry and exit points of the gas pipelines by the National Commission for Energy, Housing and Utilities Services Regulation (NCER) JSC Ukrtransgaz expects that the company would face a shortage of around UAH 22 billion in 2019, the press service of the company has reported. The press service said that the financial plan for 2019 was calculated meeting the tariffs approved by the regulator and the shortage of funds in the amount of some UAH 22 billion is projected. 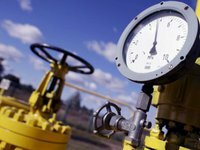 "The new temporary tariffs and the regulator's disregard of the situation with the critically low level of payments by regional gas companies for gas balancing make it impossible for Ukrtransgaz to finance gas purchases for balancing the gas transmission system, payroll payments, repairs and capital investments in full amount and in accordance with the terms set." Ukrtransgaz named factors that lead to a shortage of funds. In particular, among them in 2018 are the following: the company uses 3.302 billion cubic meters for maintenance buying gas using the market procedure on the ProZorro platform. In the justification of the tariffs for 2019, which the company submitted to the regulator, the required volume of gas for maintenance is specified in the amount of 3.322 billion cubic meters of gas. According to the regulator, the company will limit purchases to 2.63 billion cubic meters. In 2018, the average gas purchase price during transparent market tenders was UAH 8,743 per cubic meters without VAT. According to the formulas according to the contracts signed by the company, the gas purchase price in 2019 is expected to be UAH 11,095 per cubic meter without VAT. The regulator offers JSC Ukrtransgaz to buy gas at a price of UAH 7,657 per cubic meter without VAT. The cost of labor, provided by the regulator in the temporary tariff, is 25% lower than the obligations of Ukrtransgaz under the collective agreement. When calculating tariffs, the regulator unreasonably limited the funds available for capital investment by the company to UAH 10 billion. The company is appealing these actions in court. Also, the press service of Ukrtransgaz said that the extension of these tariffs threatens the stable operation of the enterprise in 2019.